(SAM/Gozo) – Josmar Azzorpardi, a young Rover in the Scout Association of Malta, was one of several hundred Rovers from around the world, who have just returned home after having attended the 16th International Youth Gathering for Cultural Exchange. 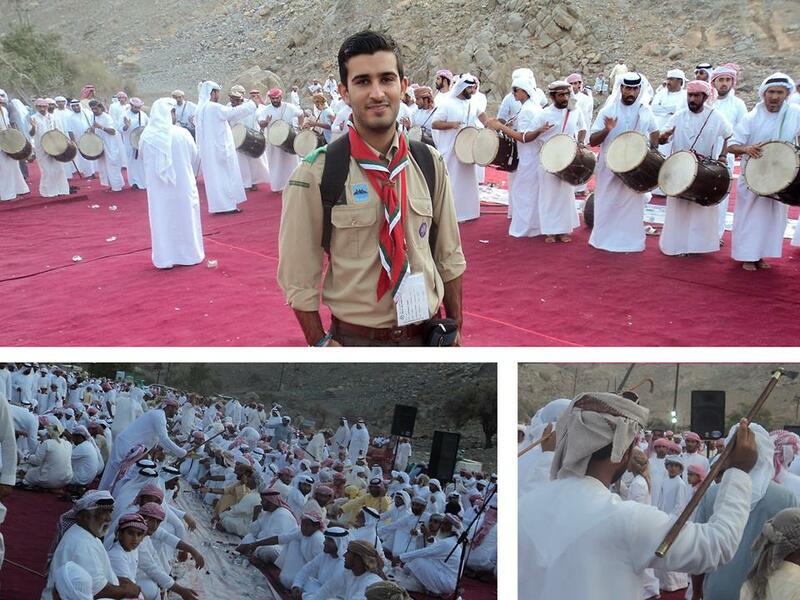 Organised by the Arab region of the World Organization of the Scout Movement, the 2013 edition hosted by the Scout and Guide Association of Oman in various places in Oman from 4 to 14 September 2013. “The recent 16th International Youth Gathering for Cultural Exchange in Oman was a new experience for me in every sense of the word. It all started with a ten-hour intercontinental flight. It continued with me being treated like some high-ranking guest of honour, with Ali, the Omani International Commissioner, personally handing me the entry visa. Minutes later I was literally blown over by the incredible and unimaginable heat wave outside the heavily air-conditioned terminal building. And by first encounters with one of Oman’s treasurers: frankincense, the source for the perfumed oil famous beyond her borders. 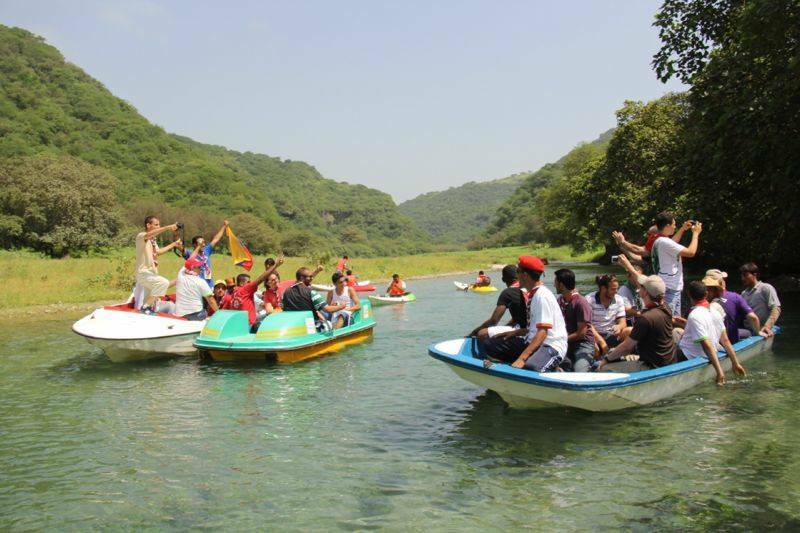 The Youth Gathering actually consisted of two main parts: at the beginning, the participants were divided into smaller clans of different nationalities and cultural backgrounds. These clans then spent the first couple of days each exploring a particular governorate. All then came together again to spend the remainder of the event at the actual international Rover camp. For my clan, day two started at five am in the morning already. This meant that we missed the official opening of the event. But means of transport and destination were more then worth it: strapped in military aircraft we flew out to the isolated peninsula Governorate of Musandam. And what a change this was from the modestly fort-style capital city of Muscat! Musandam is the mountainous peninsula controlling the Strait of Hormuz, the busiest marine highway in the global oil trade. The next few days were filled with a great variety of activities: travelling around all corners of the Governorate discovering the variety of landscapes and their beauties, including remote villages, experiencing scuba-Scouting in the sea off Jazirat al Maqlab (Telegraph Island), and climbing 2000m to the summit of Jebel al Harim (Harem’s Mountain, culminating at 2062m). Despite often dozing off in the eternal heat, I have clear memories of these remarkable trips. But two particular visits stood out: we were invited to a traditional Muslim wedding in a rural village and, in sharp contrast, were given a tour of a gas refinery and power plant that marks Oman’s strength in the future of this industry. Leaving Musadam and her beauties and heritage, we travelled by plane and coach for ten (!) hours to finally reach – in the middle of the night – Jabal Ashoor, one of the permanent Omani Scout Camps. As the sun rose, so did the camp site… and the sound of joyful shouting and cheering and the thunder of drums suddenly filled the air! 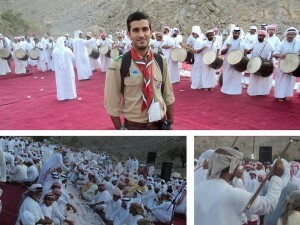 Large groups of Omani Rovers formed around the central flagpole and performed a magnificent show marking the opening of this part of the Youth Gathering. The days at the camp were spent touring the Dhofar Governorate, an astonishingly and unexpected landscape of vivid green colours and plenty of vegetation – thanks to three months of annual Monsoon rain. 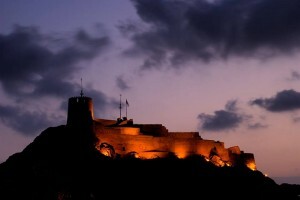 And once again: breath-taking coastlines, rivers, mountains, old ports and fortifications. Every trip featured visits to the local souk, the traditional marketplace brimming with selections of local ornaments, spices, food and clothes, with the air always filled with the typical frankincense aroma. But it was not only sightseeing: we participated in a conference discussing environmental issues and had the opportunity to share our points of view. And typical Scouting activities were also on the programme. With one of the highlights no doubt being the International Village, where each participating National Scout Organisation presented its country’s culture and culinary traditions: a wonderful opportunity to mingle and befriend. But apart from all the memorable tours and other programme events, for me the most important and inspiring part was actually the social aspect of the Youth Gathering. Being Maltese, we consider ourselves European; yet our Phoenician and Northern Arabic roots are also an explicit and essential part of our identity. So, when I first ventured into the Arabic world I was eager to investigate our common ancestry. For example my language Maltese: a Latin-alphabet language with a Semitic structure and strong influences by European languages. My diction soon became a point of interest with Omani and other Arabic speakers. It allowed me to break the ice, close the cultural gap and engage in a series of friendly yet thought-provoking discussions. I have vivid memories of several debates which I will treasure, particularly the Islamo-Christian friendship talks I had with Omar, one of my new friends from Oman. Of course, like any other large event, the Youth Gathering was also challenging, especially for those, who like me came from the European Region! The Arabic-style bathrooms and the non-existence of toilet paper were a task we had to master; luckily I had managed to bring some rolls as backup! But also the food: heavy meals served at around 7am, 2pm and 10pm are not common in my country and I had difficulties getting used to this, in particular the countless different spices, which were completely unknown to me. Bye bye Oman – see you again soon! What I will remember? 1001 marvellous images of a beautiful landscape, 1001 happy faces, 1001 different tastes, a long list of new friends from all around the Arab Region and beyond and many other unforgettable memories! Including of course the truly melodious Al-Shabab calls and the many Arabic songs, which accompanied every one of our trips around Oman. These were among the first things I actually missed once back home and I was really frustrated not being able to recite them. What a pity we as a people have lost this skill in using chants and song to enrich any atmosphere! On the flight back home to my native Gozo I could not help but wonder how non-Westerners feel when attending our international camps and Jamborees. How stark and bland must Western culture seem to them! For me, Oman was what I consider my first true international event – hopefully the first of many. – Matt Paiton, a participating Rover from The Scout Association (United Kingdom), shared this short video about his adventure in Oman!